Comedy film Shabab Sheyab, produced by Image Nation Abu Dhabi, which premieres in Saudi on Thursday, November 8, becomes the first GCC film to play in cinemas in the kingdom. Saudi opened up cinemas in the country this year, ending a nearly 40-year ban in the kingdom. The film is releasing in Riyadh, with the UAE premiere set to take place on November 17, with the full cinema release on November 22. 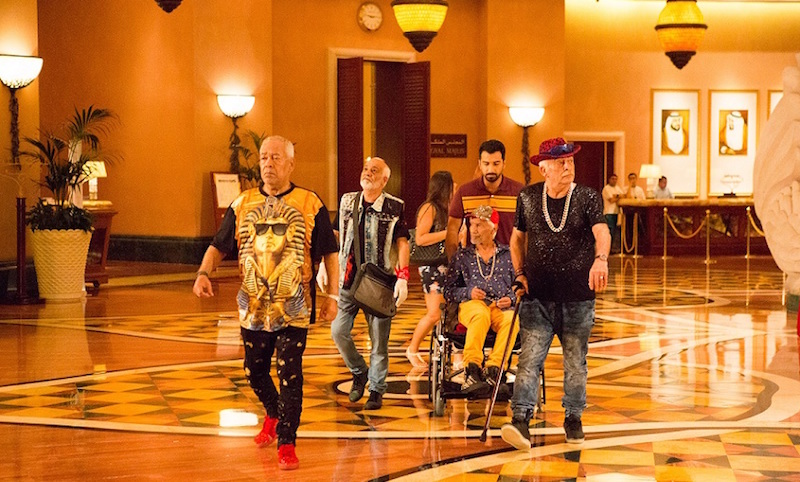 Directed and written by Yasir Al-Yasiri, the movie follows four elderly friends (played by GCC actors Saad Al Faraj, Marei Al Halian and Mansoor Al Feeli, along with Syrian star Salloum Haddad) living in a senior citizens home. Shabab Sheyab, which premiered at the Palm Springs International Film Festival in January 2018, is produced by Rami Yasin’s Breakout Films and Starship Entertainment – a partnership between Al Yasiri and Al Feeli. Tanweer Films is distributing the film across the MENA region. Saudi Arabia is set to open almost 350 cinemas with 2,500 screens by 2030, with an aim to attract nearly $1bn in annual ticket sales by catering to an audience of 32 million. In August, the kingdom awarded its fourth cinema licence to Lux Entertainment Company in partnership with Al-Hokair Group for Tourism and Development, Sinopolis International and Al-Taeir Group. The group joins the other licensed operators Al-Rashed Empire Cinema Consortium, UAE’s Vox Cinemas and US firm AMC Entertainment. Saudi’s overall entertainment industry is expected to contribute $24bn to the local economy and create 30,000 permanent jobs by 2030.